Ice painting is so much fun!!! 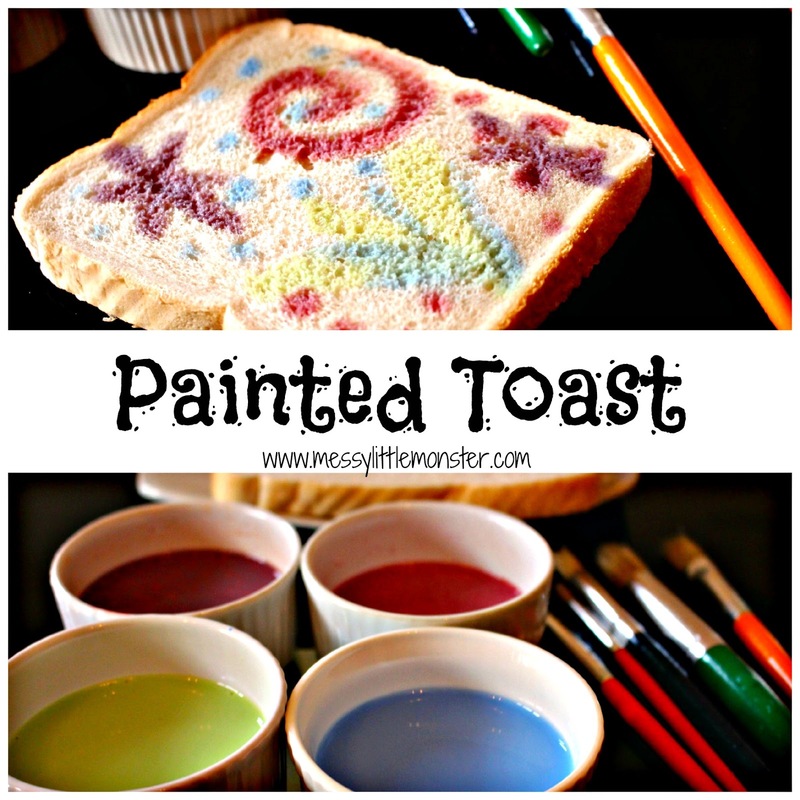 Toddlers and preschoolers will love this easy art technique and it's a fun way of learning colours too. 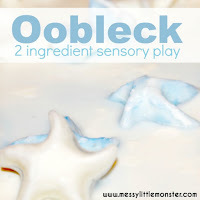 They have all the freedom and mess of painting but get to experiment with freezing paint and watching it melt too! 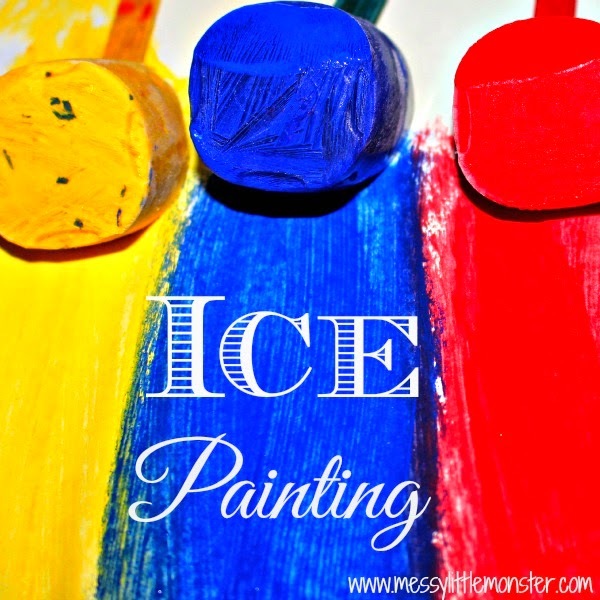 I love the bright colours that these ice paints create and the way the ice glides across the paper as it starts to melt. 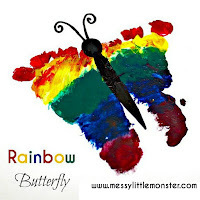 We love trying out new fun and easy art techniques. 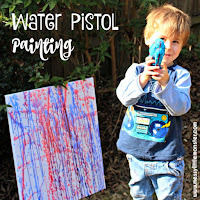 Take a look at our foil painting, no mess art and our water pistol painting. 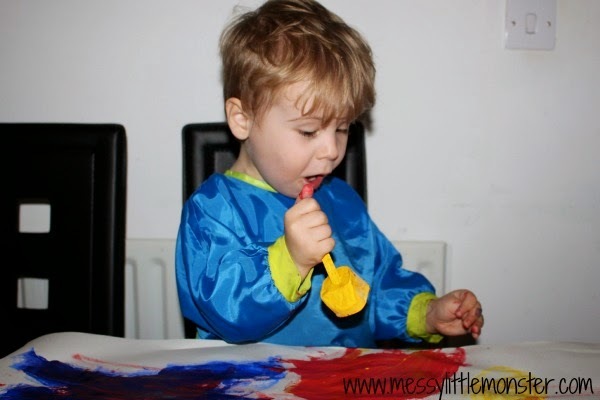 For children that put everything into their mouth take a look at our taste safe ice paints. 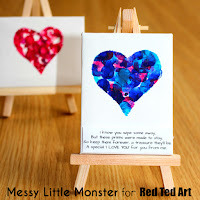 I love the watery effect that these paints create. 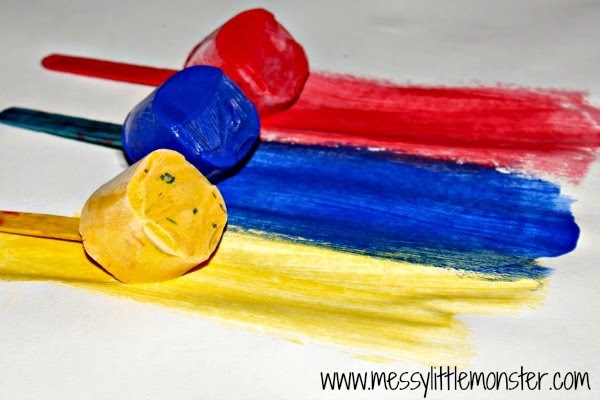 Making these brightly coloured ice paints is so easy. Squeeze poster paint into small pots (we used small yoghurt pots), add craft sticks to the paint and pop them in the freezer. 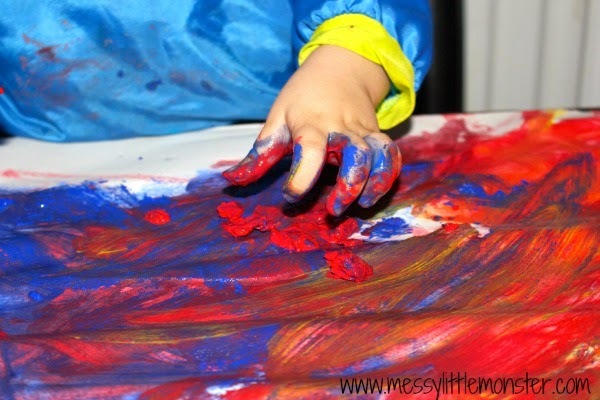 The paints will take a couple of hours to completely freeze. 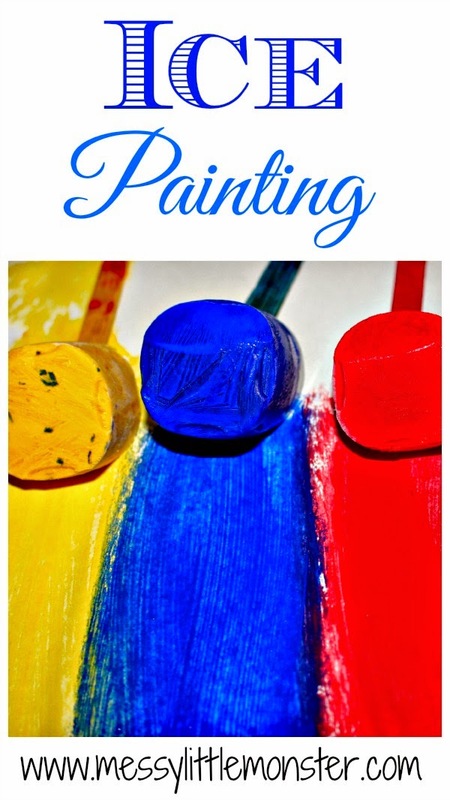 Once the paints have frozen you're ready to get painting! 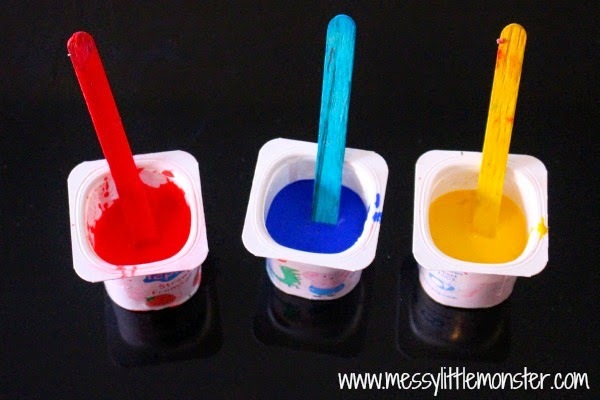 To remove the paints from the yoghurt pots run them under warm water or cut the yoghurt pot away from the paint. 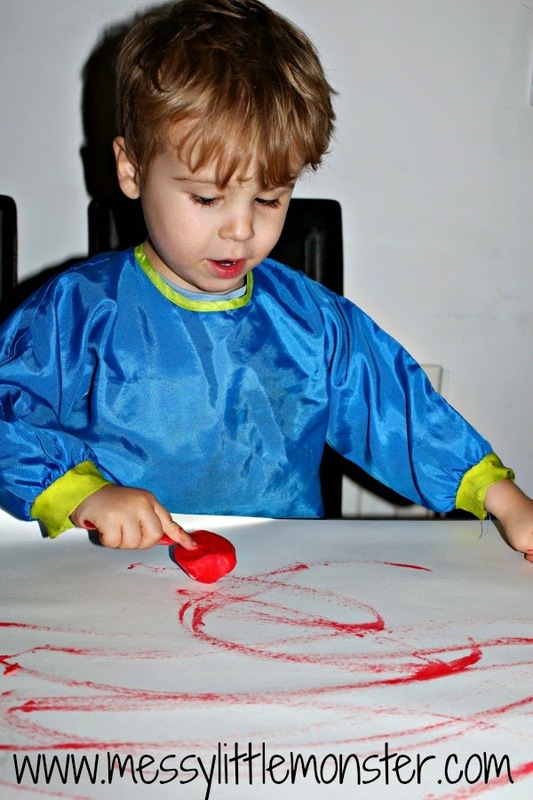 Harry (aged 3) loved using the ice paints. 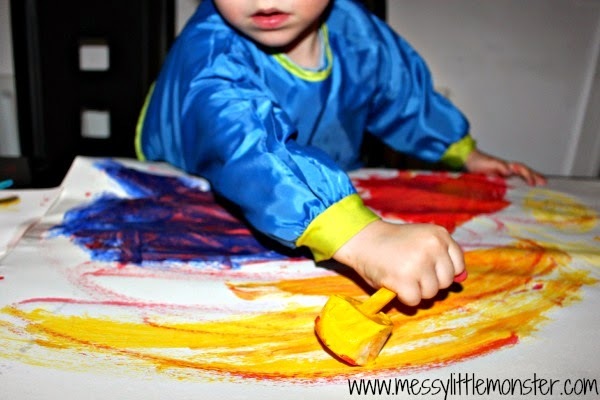 We painted onto a large roll of paper so that he could paint on a large scale. 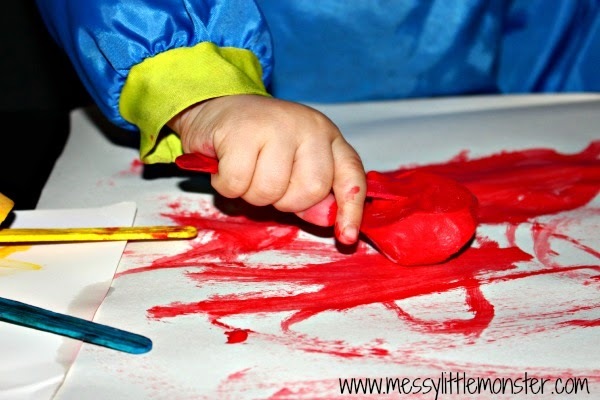 The paints were easy to use and they slid across the paper easily as the ice started to melt a little. 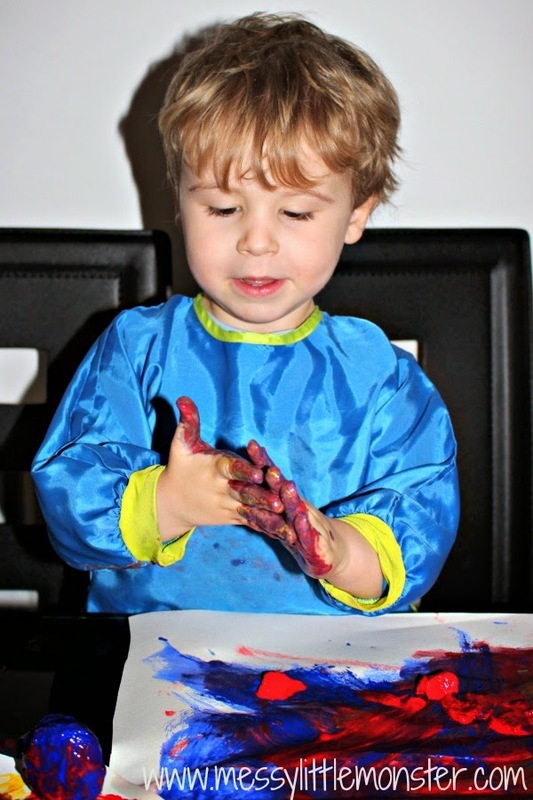 Harry had a go at mixing the colours. He enjoyed breaking the ice and getting nice and messy! How much fun!! 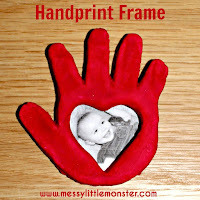 What a creative way to get crafty and paint. Thanks so much for stopping by to share with us today on our Facebook page!